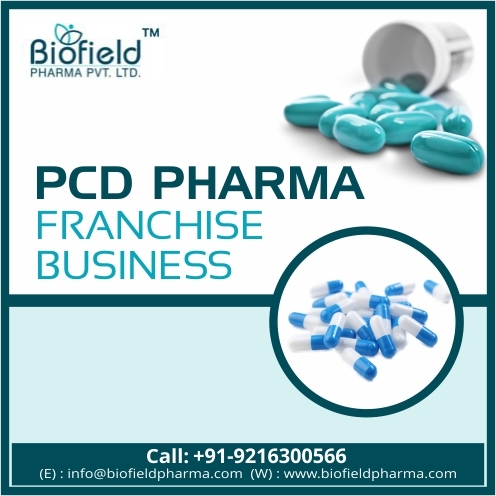 PCD Pharma Franchise in Kerala – Your search for the best pharmaceuticals company ends with Biofield Pharma! Our company is amo2ngst the ISO certified top pharma franchise companies in India to bring you a wide range of fine quality covering multiple drug markets. These include a range of tablets, capsules, softgels, injectables, powders, ointments, syrups, drops etc. DCGI approved medicines are for PCD pharma franchise in Kerala at Biofield Pharma. The deals are open for all those who want monopoly based pharma PCD franchise opportunities. We assure you better business deals at most reasonable rates. PCD franchise business has a great potential to bring you good earning capabilities. You could have a good business by just making the small investment through PCD pharma franchise in Kerala. This southern state has a growing demand for medicines and for a complete growth Biofield Pharma is the best. Our company has over 300+ drugs available making specialized and therapeutic drug market readily available for PCD franchise. The medicines are made in well-maintained self-owned GMP-WHO units. Best machines, devices, skilled personnel to fine grade ingredients are used in the making of every medicine. The business deals are flexible to your needs are ready for you to apply as PCD Franchise vendors. In case you want to have a good conversation with our company, you can call us at +91-9216300566, +91-9216300166 and know more about our PCD franchise deals near you. To connect with us for a hassle-free conversation, you can even email us at info@biofieldpharma.com or go for a live chat with our experts. We guarantee the best in the market. An ISO certified pharma company, Biofield Pharma is a Chandigarh based company that offers fine quality drug formulations. We are engaged in making and marketing of drug formulations. Amongst the trustable pharmaceuticals service providers in Kerala, Biofield has over 250+ associates across India. This time we are searching for new members in Kerala. We have been receiving positive demands from this state and have created a good exposure for all those who actually want to start their own business. Self-owned units follow strict standards of good manufacturing practices along with WHO guidelines. Fully furnished and latest device have been installed to provide the best manufacturing services. Latest and improved techniques are used to make medicines and products. Hundreds of medical professionals, representatives and multiple institutes have joined our company for a better experience. We have partnered with different parcel and shipment companies who help build a wide network and smooth delivery systems. You can start your own business. The pharma sector is wide and has good expansion opportunities for you. The risk involved is quite low as the company supports you in all fields of marketing and promoting your business. The demand for medicines is high everywhere and people are investing in it. Therefore, you enjoy a good business by earning a good profit through it. The investments have great flexibility and you could start with a good budget at Biofield Pharma for PCD franchise. Biofield Pharma is the best Pharmaceuticals Company that can provide you a great deal of PCD franchise business in south India. We look for hardworking and dedicated people who can become a member of our company. We offer you monopoly rights so that you have good control over the business operation. Each individual will get wide space under its control and get to earn a decent income. We offer a good margin on sales which can turn to profits if you want. We have covered the major locations of Kerala like Thiruvananthapuram, Kochi, Thrissur, Kollam, Kannur, and Kozhikode. You can contact us anytime and known about our PCD franchise deals near you!